anakin skywalker. . HD Wallpaper and background images in the bintang Wars: Revenge of the Sith club tagged: revenge of the sith star wars anakin skywalker hayden christensen. 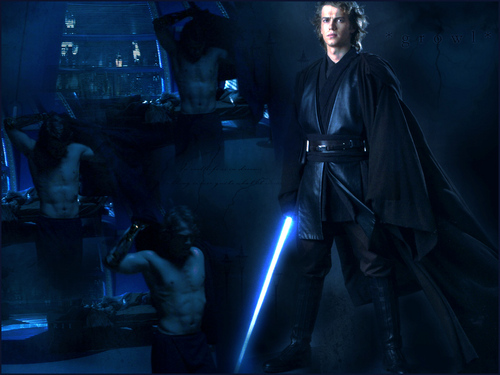 Nice abs, also like the picture of him in his Jedi pose.